Wilderness First Responder (WFR) - S.E.I. The Wilderness First Responder is widely recognized as the most comprehensive entirely wilderness focused medicine and rescue curriculum. This 16+ (minimum) hour WFR Review refreshes the cognitive knowledge and practical skills of the Wilderness First Responder and re-certifies the WFR candidate for 3 years. 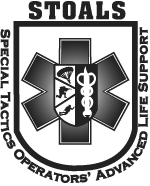 We follow National Education Standards for Emergency Medicine and Wilderness Medical Society Guidelines, and add in our extensive backgrounds of adaptive military training. The WFR Review is structured around using skill-labs and scenarios to set up a “real-life” way to refresh the skills of patient care far from 911. It covers patient assessment, resuscitation, bleeding control, treating shock, wound and blister care/infection control, splinting, traction, treating joint injuries, and more. Particular attention is paid in review of TBI and especially concussion assessment and care, as well the use of spine clearance in wild settings, improvised immobilization. Particular focus is placed on the process of critical decision-making. Revisiting the predictable, preventable behaviors that lead to many of the preceding injuries is an important part of this review process. This also leads to emphasis on environmental injuries like heat, cold, altitude, water-based problems, and dangerous creatures and plants. The other review topics are backcountry search and rescue, organizing a rescue, litter packaging and management, or “backcountry” ICS, may be included through prior arrangements with contract courses.